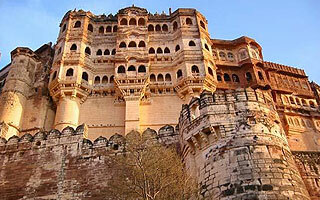 Rural Rajasthan Tour is a perfect delight tour to explore the real root and village life of Rajasthan. The speciality of Rural Rajasthan is although the villages and people look same but they carry a distinct feature which differs them from each other and provide them a unique identification. The traditions and culture of Rural Rajasthan is a marvel in itself. You will get an opportunity to find, see and meet some of the master craftsmen, porters, architects and artists who are like magicians in their respective work and art. The real feel and flavour of Rajasthan can be best experience and enjoyed in this Rural Tour of Rajasthan. Khamagani-Traditional way to greet people in Rajasthan!!! Plan Our travel India Pvt. Ltd representative will meet you at the airport holding the pla card of your name and assist you to transfer and check in at the hotel. After freshen up evening is at the leisure. Morning after breakfast proceeds for grand Delhi full day city Tour. The sightseeing are amalgamation of culture, heritage, history, showcasing the bygone era and modernity through its monuments and sites. 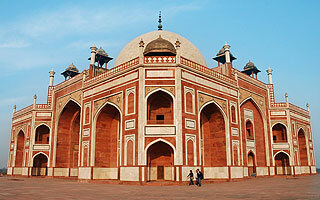 You will make a drive pass visit to famous Red Fort, stepping ahead visit Chandani chowk, Rajghat, Humayun’s Tomb. After covering Old Delhi move to center and South Delhi visiting India Gate, drive pass to President’s house and Qutub Minar. Evening explore local market and shops of Delhi. Morning after having a delicious breakfast and checkout drive to Mandawa. On arrival check in at the hotel. Mandawa is a beautiful town with fresco painted havelis and mansions. The charm and beauty of the town can’t be described in words. If you are specifically lover of painting and some real artistically painting work then Mandawa of Shekhawati region is certainly must place to visit. A walking tour is the best option to explore the town with ease. Morning after breakfast the day is again to have a great experience and visit of Nawalgarh and Lachman garh. These towns are also have some distinct havelis painted and decorated with fresco. Special Highlight of the day would be Bullock/camel cart ride in Nawalgarh, which will make you feel like experiencing the real rural life of Rajasthan. After visit return back to Mandawa. Morning after breakfast drive to Bikaner, on arrival check in at the hotel. 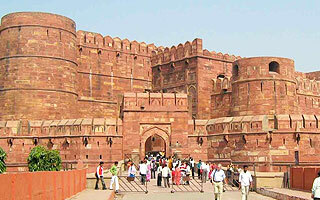 After freshen up proceeds for the sightseeing Tour of Bikaner. You will visit Camel’s Breeding farm, Bhandsha Jain Temple, Junagarh Fort & Prachina Museum. The sightseeing tour of Bikaner will take you to era of Royal kings. After sightseeing explore local market of Bikaner. After having your morning breakfast drive to Khimsar, on arrival check in at the Khimsar Fort. Khimsar village is remotely situated in the central Rajasthan inhabited by Bishnoi community of Rajasthan. Spend your day exploring the Fort converted hotel. The ambiance and character of the fort is worth to watch. Morning after your breakfast proceeds to visit. Bishnoi Village. The people of Bishnoi community are so close to nature and revere the nature as you have seen never before. Their lives, dresses and activities showcase their love to nature. Enjoy a zeep ride to Bishnoi Village and get an opportunity to meet the local villagers, listening their interesting stories of their lives, their working style and life. Morning after breakfast drive to Luni, it is a beautiful village and is hub for artistic articles and work on metal. The artist and design work is so live and beautiful that the small village is getting the crowd from not only nation but also internationally. The artistic skill passed by the ancestors of the artists have been reached to new heights and by the time passes the skills and perfection has been reached to it’s peak. There are no words to mention the work on metal, wood and clay. After having drive to Pushkar, on aril check into the hotel. After freshen up proceeds to visit Pushkar Temple, Ghaat and see Savitri Temple. After having your morning breakfast drive to Kuchman, on arrival check into the hotel. After freshen up proceeds for the excursion of Sambhar Lake, enjoy watching some rare bird species. Morning after breakfast drive to Roopnagar. On arrival check in at the hotel, After freshen up proceeds to explore Tilonia Village and Kishangarh. These two villages are famous for exquisite crafts. After having your morning breakfast drive to Neemrana, via Samod. 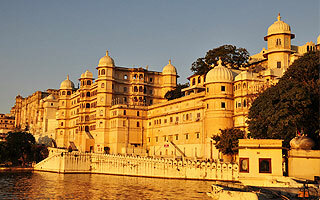 The city is perfect example of delightful destination with traditional highlights of Rajasthan. On arrival check in at the hotel.